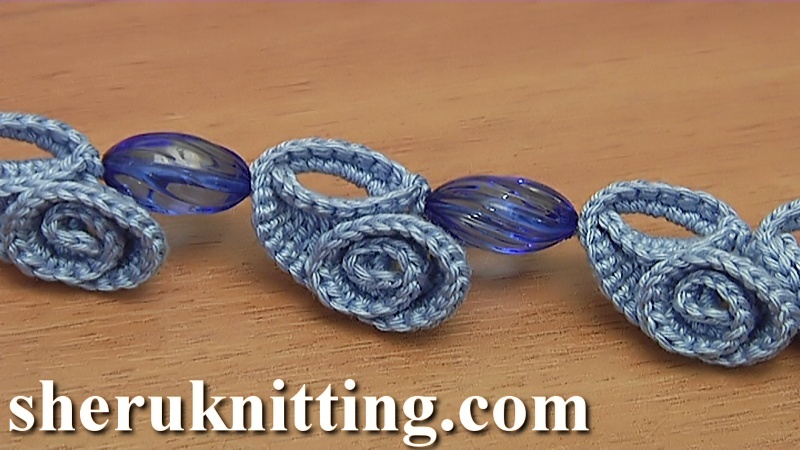 I'm going to teach you how to crochet spiral cord for making bracelet, necklace and other accessories. The base of the cord is a spiral segment. Begin the spiral segment from the different tall stitches that are the foundation of this spiral. After the foundation I will make single crochet stitches in the shape of the trim. Such crocheted spiral cord with beads can be used as necklace (in white color) with wedding dress. In the tutorial you can see 2 kinds of the spiral cord: with beads and without them. Crocheted Spiral Cord With Beads was made with Steel Crochet Hook 2.25mm (which is #2 US standard)and yarn : 100% Cotton, 169m/50g, 4 ply.